Orlando Pinheiro da Silva, the father of UFC superstar Wanderlei Silva (Pictured), was killed in a horrific car accident Sunday in Brazil. The driver of the other vehicle involved in the head-on collision also passed away. Wanderlei, who was currently training in Las Vegas, received the sad news yesterday and is currently making his way back to his homeland. Just five days ago, Wanderlei published a YouTube video of himself visiting his dad and family in Brazil. While showing fans where he grew up, “The Axe Murderer” said his father had worked three jobs to support their family. 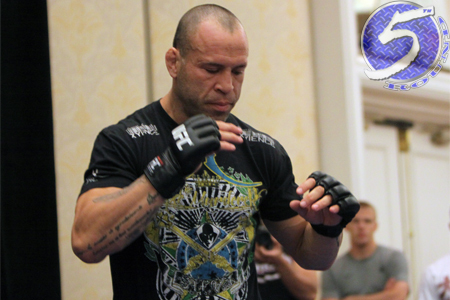 Wanderlei states that’s how he learned the value of hard work and honesty.